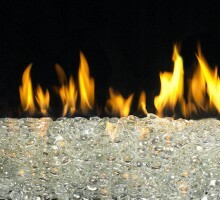 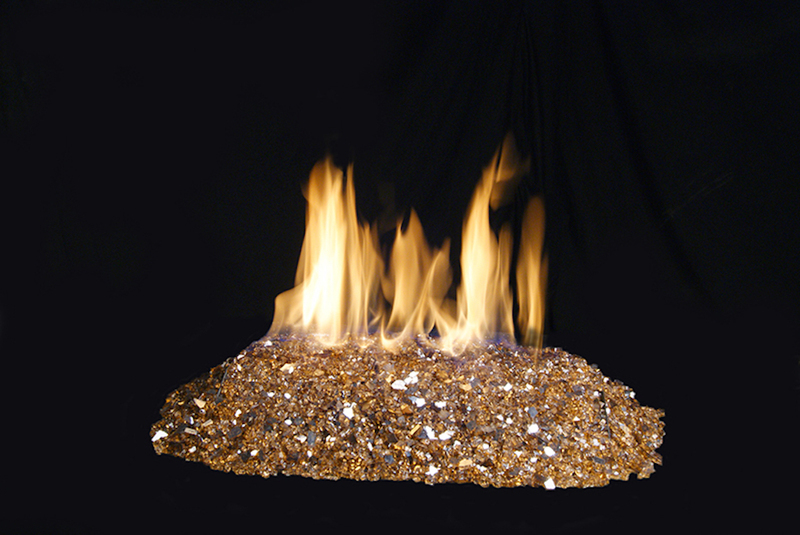 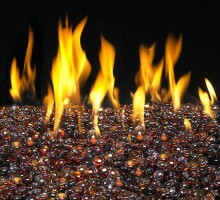 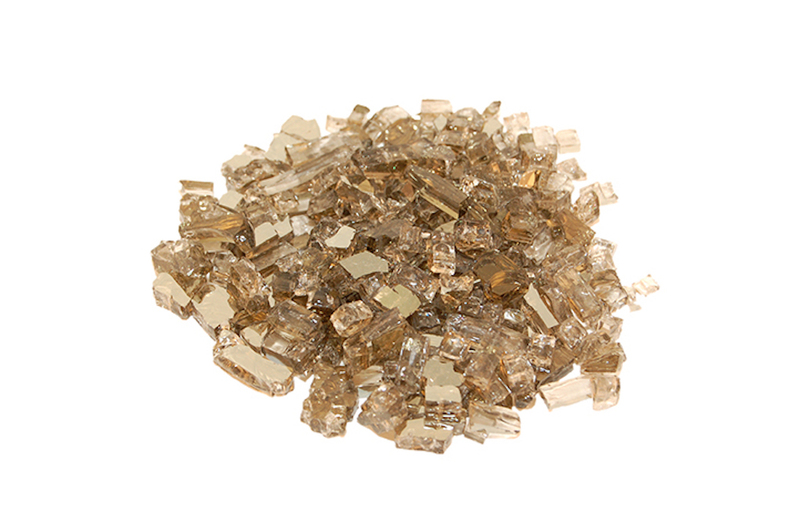 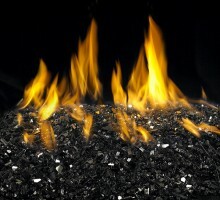 Crushed Fyre Glass shines radiantly throughout your entire fireplace and creates a brilliant fire as flames reflect off the Fyre Glass’ multi-faceted surfaces. 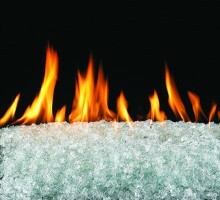 It is fully tempered “toughened” glass - fire tested up to 1200°F by Peterson’s accredited laboratory. 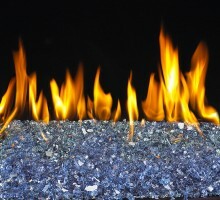 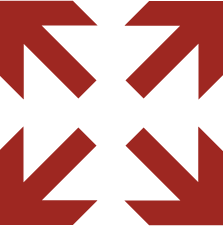 Fyre Glass is formulated to stay as radiant as the first day it’s installed and can tolerate extreme temperatures without melting or discoloring. 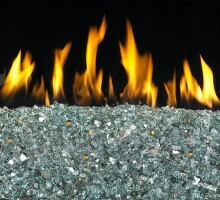 Choose one or several of our many available colors to customize your fireplace, or outdoor fire feature.